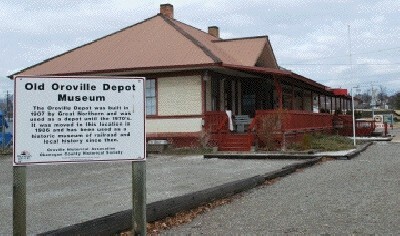 Check out the Depot Museum and Visitors Welcome Center, Downtown Oroville. Besides permanent displays, each year they feature a different historical presentation. Molson Ghost Town: Take the 15 mile drive to the Ghost Town of Molson and visit the old 3 Story brick schoolhouse Museum, as well as the outdoor Museum that includes the original 1905 bank. Then return via 9 Mile Road which follows the old railroad bed and read the historical markers along the way. Visit the Molson Museums Page Here.